We all know Rock, Paper, Scissors (rock crushes scissors cut paper covers rock). But adding two more items makes it a bit more random. 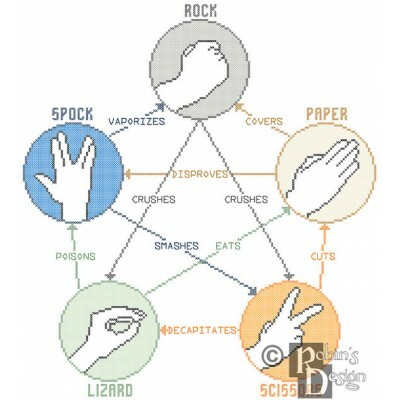 Logically the additions have to be Spock and Lizard. This pattern explains how it works with pictures and words.This pattern was hand designed by a professional a..
We all know Rock, Paper, Scissors (rock crushes scissors cut paper covers rock). But adding two more items makes it a bit more random. 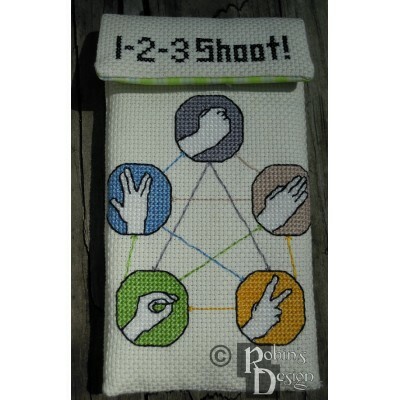 Logically the additions have to be Spock and Lizard. This small pattern explains how it works with pictures and words. Best of all, it makes a case able to fit phon..